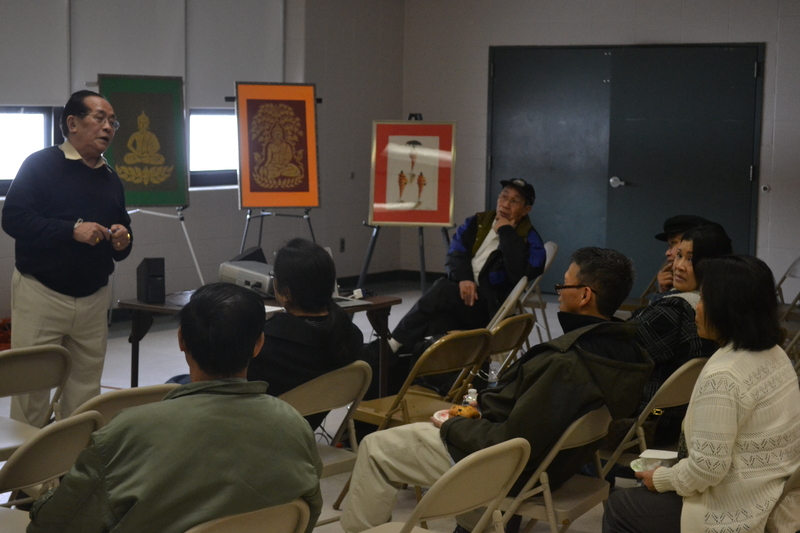 The Lao American Storytellers Festival was last week and almost 100 people were in attendance throughout the event. Many could only stay for a session or two, but it was still inspiring to see everyone who is committed to the preservation and transmission of these classic stories. 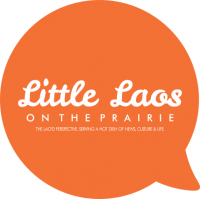 Our own Chanida Phaengdara Potter gave a discussion on Little Laos on the Prairie and how it intersects with the community need to tell our own stories and improve the communications infrastructure for our community. Phoutha Nantharath gave a talk on bringing elder voices forward. As one of the Lao Minnesotan Storytelling fellows, he worked with the Lao Assistance Center frequently on issues of Alcohol, Tobacco and Drug abuse education. One of the elders on hand shared some of his favorite folktales including the proverb a head full of knowledge is worth more than a tray full of jewels. He also went into detail about the lessons we can really learn from the Xieng Mieng story. Storyteller David Zander give a detailed workshop on how elders can tap into the stories within them, and what it means for them to put their experiences into words, to integrate the past into the present. A former Senior Research Analyst at the Council on Asian Pacific Minnesotans, he has spent much of his recent years as a member of the Asian Storyteller Alliance, working with storytellers such as Phuoc Tran. His journey and expertise took the Festival to a new level. Saymoukda Vongsay, the award-winning spoken word artist, playwright and Lao Minnesotan Storytelling Fellow, shared selections from her chapbook “No Regrets,” which is celebrating its 5th year. Vongsay has had a busy month as she also prepares for the presentation of her play “Kung Fu Zombies vs. Cannibals,” and a series of presentations on Lao American Horror at MarsCon in the first weekend of March. Sunny Chanthanouvong discussed the upcoming plans for the 30th anniversary celebration of the Lao Assistance Center, the stories his staff loved to share, and what the community might become in the coming years ahead. He also gave a call for more people to contribute to the planning of the Lao New Years celebration as we transition from the Year of the Dragon to the Year of the Snake. He encouraged many of the participants to consider applying for a Bush Leadership Fellowship. Bryan Thao Worra presented a retrospective of his work over the last 5 years as part of his “Beyond the Other Side of the Eye” Project made possible in part from funding by MRAC. He also took time to highlight the storytelling opportunities being presented by the Minnesota Humanities Commission and the Council on Asian Pacific Minnesotan’s Reading Together Project, as well as a call for Lao storytellers from UNICEF, which is also interested in work from Hmong and Khmu writers. This activity was made possible in part by a grant provided by the Minnesota State Arts Board and the Metropolitan Region Arts Council, through an appropriation by the Minnesota State Legislature from the Minnesota arts and cultural heritage fund with money from the vote of the people of Minnesota on November 4, 2008. In the United States there are approximately 200,000 Lao with the largest populations residing in California, Texas, and Minnesota. Minnesota has the 3rd largest Lao refugee population in the US with 12,000 to 25,000 residents. There are still many gains to be achieved in both education and the arts. Many members of the community expressed concerns regarding the preservation and transmission of traditional culture to the youth. I’m a Los Angeles based filmmaker who is interested in incorporating traditional SE Asian story telling in a screenplay I’m writing. 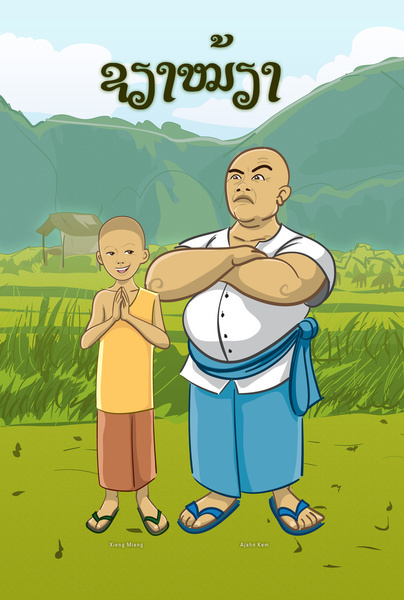 I’d love to talk to someone about the tradition of Lao storytelling. Any references would be greatly appreciated. I look forward to hearing from you.